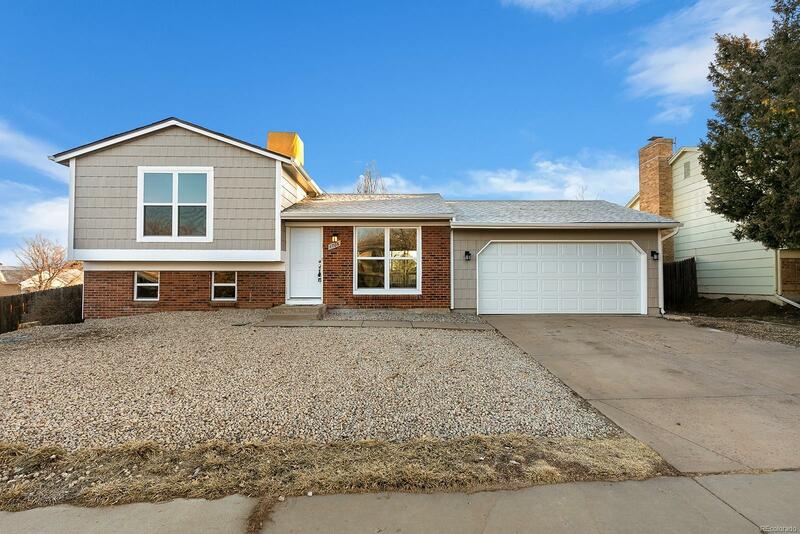 Don't miss out on this gorgeous, newly remodeled home, which has been repainted both inside and out and sits on a large corner lot! Step into this beautiful home to find all new flooring throughout and a kitchen featuring stainless steel appliances, quartz counter tops and back splash! The updated lighting fixtures inc LED recessed and top of the range remote operated ceiling fan/lights, and the new high performing windows will keep this house warm during winter and cool during warmer months. The bathrooms feature quartz counter tops and contemporary back splash. The finished lower level of this home provides additional family room space. With no detail spared, even a new roof, electrical panel and garage door are included! Nearby transportation and town center for retail and dining make this home truly one to see!